Nightstick took intrinsically safe certified lighting to a whole new level by adding four models to their innovative Dual-Light™ technology line-up. The new Nightstick INTRANT™ Class I Division 1, ATEX approved Intrinsically Safe Right Angle lights are poised to disrupt the outdated industry belief that only one light is adequate for safety in a hazardous location. 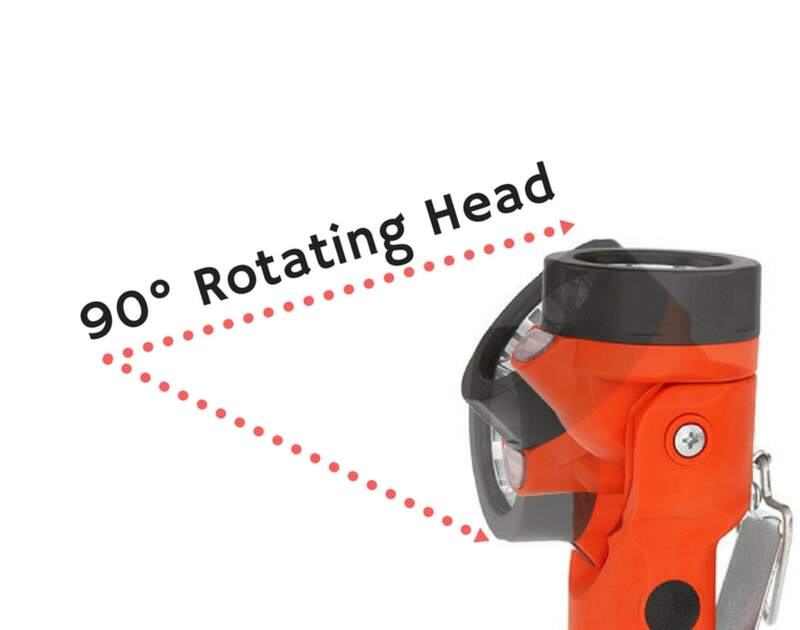 Featuring an EXCLUSIVE 45-degree angle floodlight to light up your feet while walking, and then adding an industry leading 90-degree adjustable sharp 200 lumen LED smoke-cutting beam, the INTRANT is putting more light more places to help reduce slips, trips and falls. The flashlight setting offers user-selectable brightness settings of 200, 110 and 60 Lumens with a 401 meter beam distance. The ultra-tight beam is perfect for cutting through smoke and lighting up objects at great distances. 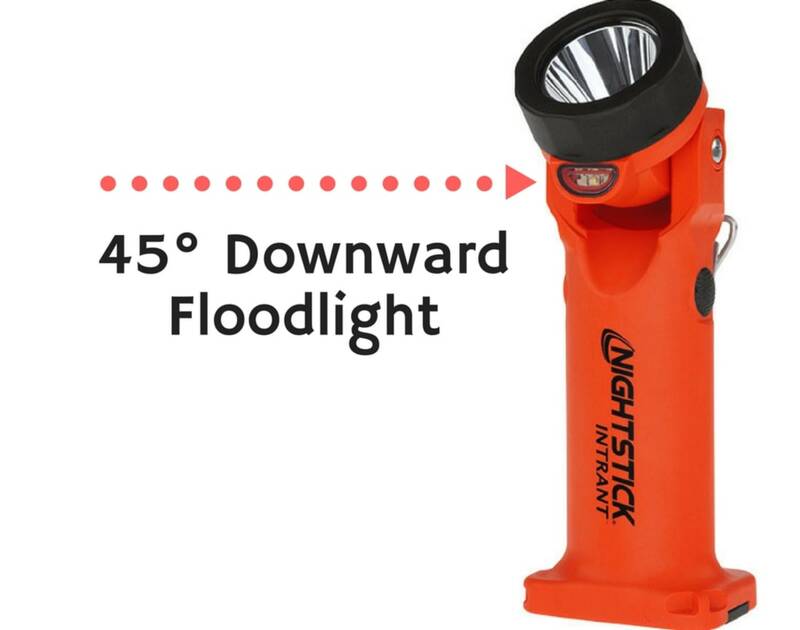 The floodlight setting has user-selectable brightness settings of 100, 40 and a “Survival Mode” of 20 lumens that provides just enough light in an emergency situation with a run-time of 33 hours. The INTRANT XPP-5566 models are powered by 3 included AA batteries. The INTRANT XPR-5568 models are powered using a rechargeable lithium-ion pack and include a low-profile charging base, AC and DC charging cords and AA battery carrier to provide backup power if needed. All models are cULus, ATEX and IECEx certified intrinsically safe, IP-67 rated dustproof/waterproof and meet the requirements of NFPA-1971-8.6 (2013). Constructed of durable glass-filled polymer and featuring a sturdy stainless-steel clip for attachment. Nightstick INTRANT models are supported by a limited lifetime warranty, are now in stock and available for purchase with an MSRP of $99.90 and $177.60 for the XPP-5566 and XPR-5568 models respectfully. To learn more, please visit www.nightstick.com.